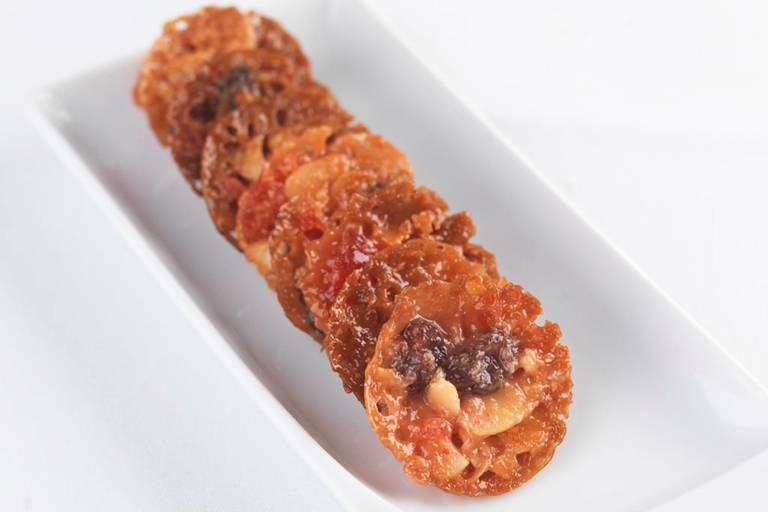 The candied and dried fruit and nuts in these soft, sticky florentines give the biscuits a jewel-like appearance. This variant from Frances Atkins is without the chocolate backing of many others, but you can dip them in melted chocolate if you prefer. This is a simple florentine recipe with impressive results.